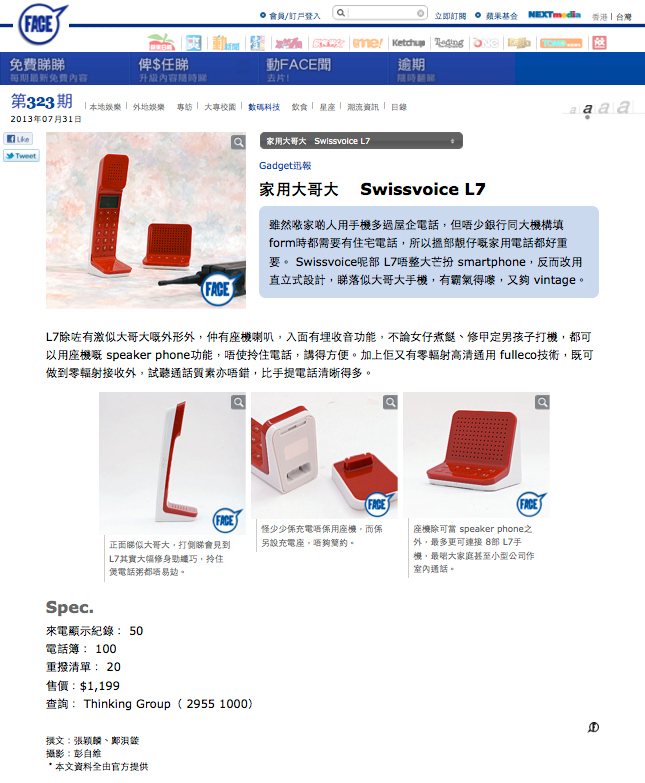 Here's a link to a Hong Kong website featuring the L7. I love seeing this stuff, although I question the choice of backdrop. Is that a brick phone in the foreground? Awesome. In addition to a shock like L7 Mobile Zo generous shape, the Zhongyou landline speakers, buried into the surface with radio function, regardless Girl cook Dishes, manicure set boy playing computer, you can use a landline generous speaker phone function, needless Linzhu phone, put it convenient. The L7 telephone of Notcot today.